The ease with which customers have come to enjoy the car shopping experience has been the hallmark of the Dan Wolf Automotive Group since 1971. Chevy of Naperville is just one of the three dealerships that make up this group, and is the ultimate destination for Chevy shoppers in the Chicagoland area. 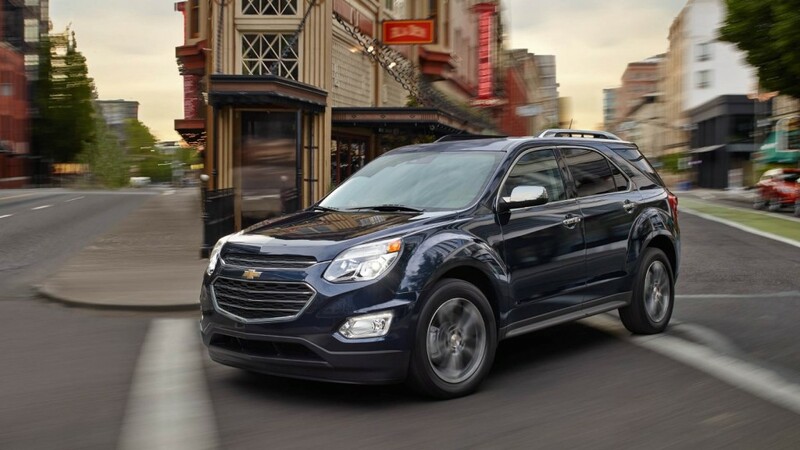 Serving 15 suburbs and their surrounding areas, there are no better Chevy dealers in Illinois. 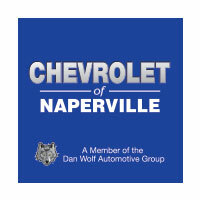 Devoted to delivering the very best in customer service, Chevy of Naperville is also committed to community service. The team at Naperville proves particularly philanthropic when it comes to supporting Turning Pointe, a research, education, and lifestyle development initiative for those diagnosed with conditions on the autism spectrum. How important is customer satisfaction to the team at Chevy of Naperville? So important that everyone from sales associates, service technicians, to the top-tier managers conduct themselves and their business practices according to a Ten Commandment Customer Relations philosophy. At the heart of these ten-point practices is the culminating commandment, “Customers are the lifeblood of our business.” Appreciation and respect for customers pulses through the day-to-day transactions at Chevy of Naperville. Aside from being a business with a big heart, Chevy of Naperville boasts an extensive inventory of new vehicles – the very best of what the bowtie brand has to offer. Innovation and cutting-edge technology drives Chevrolet and the consistently updated inventory at Chevy of Naperville reflects this. There is no question that you’ll find what you’re looking with respect to a new Chevy vehicle. In fact, you can even get a jump on the research and narrow down your options by perusing the new car inventory online. Visit Chevy of Naperville’s website from wherever, whenever, and take the time to check out the new cars before you even visit the lot. Once you do visit, you can rest assured you won’t be confronted by aggressive sales associates. Their goal is to see you drive off happy in a vehicle that exceeds the expectations you walked in with. The sales team will also make sure that you’re apprised of the specials and incentives, both manufacturer-backed and dealership-specific, so that you get the best deal possible. Making the actual purchase is made so much easier by Chevy of Naperville’s own finance department, staffed by knowledgeable representatives who understand the trepidation that often accompanies such a significant purchase. Understanding your loan or lease options will be a seamless process and you’ll feel confident when the time comes to sign on the line that you’re backed by an expert finance team. Even the newest vehicles can encounter a hiccup or two once out on the road. Whether it’s a minor ding, fender bender, or more extensive damage, the service department at Chevy of Naperville will get your car patched up and back to its former glory in no time. Of course, you might never run into a need for such service, and we hope you don’t. But your new car will need regularly scheduled maintenance and the service department is standing by for those tasks, too. No matter the reason for your visit to our service department, the certified technicians have you covered. Our replacement parts come direct from the manufacturer so our customers need not worry about after-market or less than genuine repairs. The service department is open Tuesday through Friday from 7 a.m. to 7 p.m. and Saturday from 7 a.m. to 4 p.m.
It’s one thing to scope out Chevy of Naperville’s merits in print, but the real proof is in the experience. The sales floor is open Tuesday through Friday from 9 a.m. to 9 p.m. and Saturday from 9 a.m. to 6 p.m., so feel free to come by or call 844-716-2013 and schedule an appointment.